Avelino Saavedra, a well known multidisciplinary artist living in Valencia. He delivers his second album for Audiotalaia. 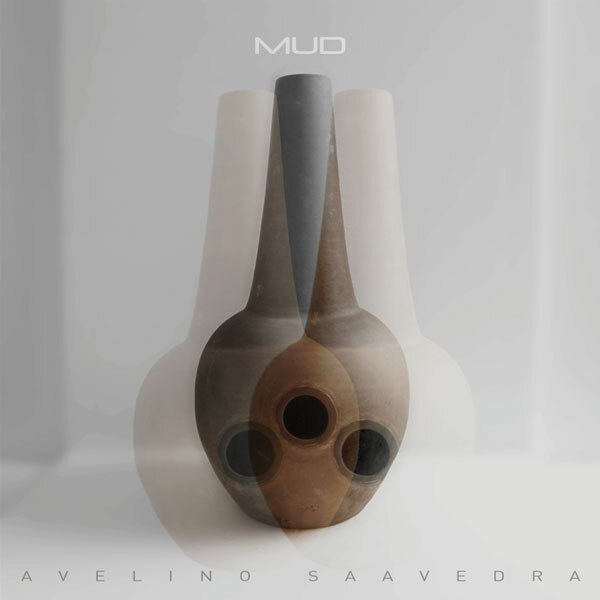 As usual in Saavedra’s work, each album comes with a thorough exploration of one single instrument. In this case, Saavedra choose a “Udu drum” with exceptional size and weight. Saavedra found this massive version of a “Udu drum” on a road-shop somewhere in Galicia, and brought it back to Valencia. As soon as the “Udu drum” was on Saavedra’s studio, the research, improvisation and processing of sounds taken from this instrument began. I had the chance to attend the first concert of Saavedra with this new project a few months ago at Plutón in Valencia. Impressed by the resources and intuition of Saavedra playing this massive ceramics drum I asked him to deliver an album based on that instrument. After a few months here we have this MUD a sound composition synthesis of this project. MUD, is basically a systemic study of an instrument and its resonance capabilities. Also is the culmination of the mixture between sound processing and live improvisation with a very limited palette of sounds and effects. As usual in Saavedra’s work one can grasp the enormous amount of time invested on developing, to get the finest results, in terms of sound. Earlier in spring, Saavedra stated (while talking about this album) that his idea was to squeeze all the capabilities of this instrument until depletion. So he did, and this is the modus operandi of Saavedra, to be able to extract the most of it of his instruments and deliver a closed-up project, without cracks, a full album, enclosed and finished. All tracks composed and performed by Avelino Saavedra. All sound produced using a Udu Drum and analogue effect pedals. 2013.